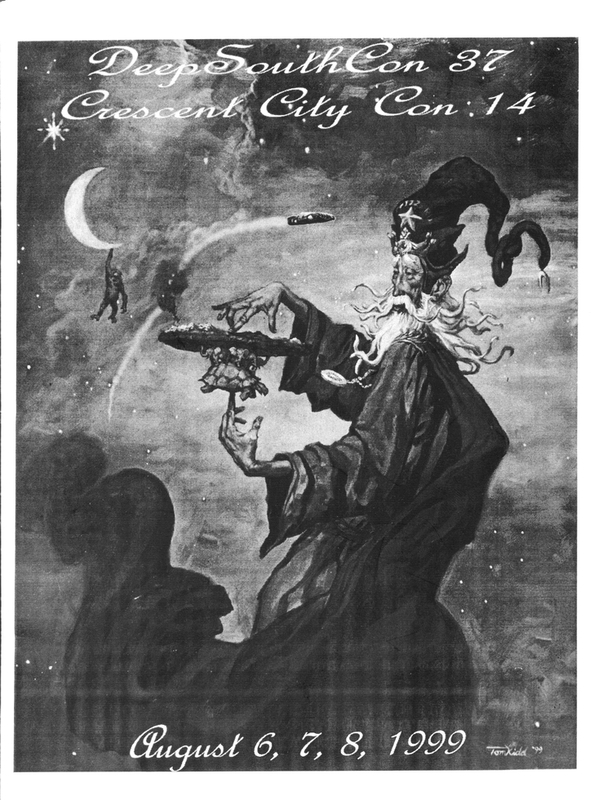 DeepSouthCon 37 was held August 6-8, 1999 in conjunction with Crescent City Con 14 in New Orleans, LA. Mike Resnick was Author GoH, Steve Jackson was Gaming GoH, Toni Weisskopf was Fan GoH, Tom Kidd was Artist GoH, Barbara Hambly was Special Guest and Algis Budrys was Special Guest. It was chaired by Robert Neagle and George Alec Effinger was Toastmaster. The Rebel Award winner was "Uncle Timmy" Bolgeo and the Phoenix Award winner was Danny Frolich.The Rubble Award went to George Wells for introducing fandom to the Werewolf Vs. Vampire Woman novelization by Arthur N. Scarm, in a debate against The Clones by P. T. Olemy (Sam Gastfriend's choice) in the Worst SF Novel debate at Southern cons.